Sprinkle skinned duck legs with salt. Peel onion and cut into pieces. Heat oil in frying pan. Fry the duck legs, add onions and cook for a short while. Lower heat and add stock and thyme. Allow to stew on the lowest heat. Turn now and then. Remove thyme ten minutes before the dish is cooked, add the beer and syrup and continue to cook. Season to taste with salt and pepper. Remove duck legs and cut meat from bone. Liquidise the mixture and sieve if necessary. Blanch the cabbage leaves and fill with duck pieces and sauce. Place in an oven dish and put in a preheated oven for a short while. 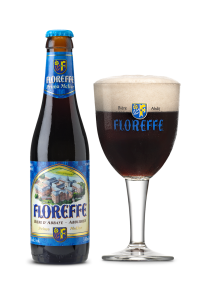 Serve with mashed potatoes and the rest of the sauce accompanied by a nice cold glass of Floreffe Prima Melior beer.